movisensXS - eXperience Sampling for Android! movisensXS is the next generation research tool for ambulatory assessment. 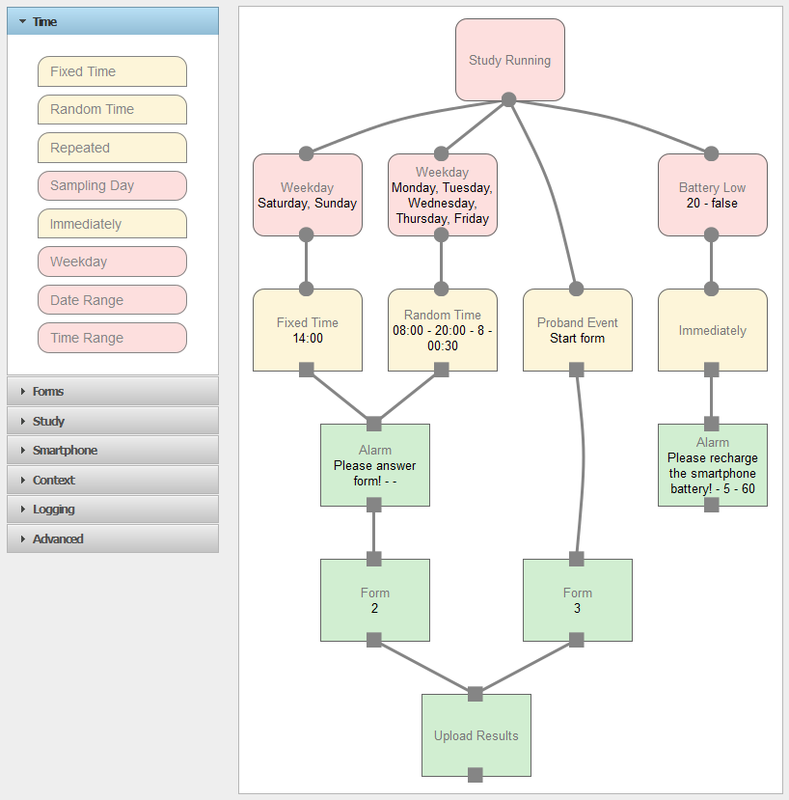 Ambulatory assessment refers to the use of computer-assisted methodology for self-reports, behavior records, or physiological measurements, while the participant undergoes normal daily activities. This approach includes the experience sampling method (ESM) a.k.a. ecological momentary assessment (EMA). Launch your free study today! Demo: Launch your study in 2 minutes! movisensXS is the only solution that completely manages your research study in the web. No programming required. movisensXS is a complete online solution from the design of the study to the download of the results. It only takes 5 minutes. movisensXS allows you to design your experience sampling with a very flexible and powerful tool. You can realize any possible sampling scheme and configure every detail of your study. Design your forms with ease. Select from many item formats and specify the form branching. 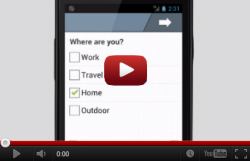 movisensXS supports Android Smartphones and Tablets so you can use it in a mobile or stationairy environment. Once synchronized, the smartphone can run without any internet connection. But with an internet connection you can receive live results and you can monitor the compliance. The data on the smartphone is encrypted (256 Bit). Even if the device gets lost, nobody can decrypt it. The data is decrypted as soon as it is in the secure web console. All communication to the web console is highly encrypted with SSL. Data is only stored with pseudonyms to protect participants. The security of our service is constantly checked by a security scan. Our servers are hosted in a secure, ISO 27001 certified environment. The movisensXS app has build-in messaging support that lets you stay in contact with your participants during the study. This can dramatically increase the compliance. movisensXS is built with the experience we gained from several research studies and was inspired by MyExperience. 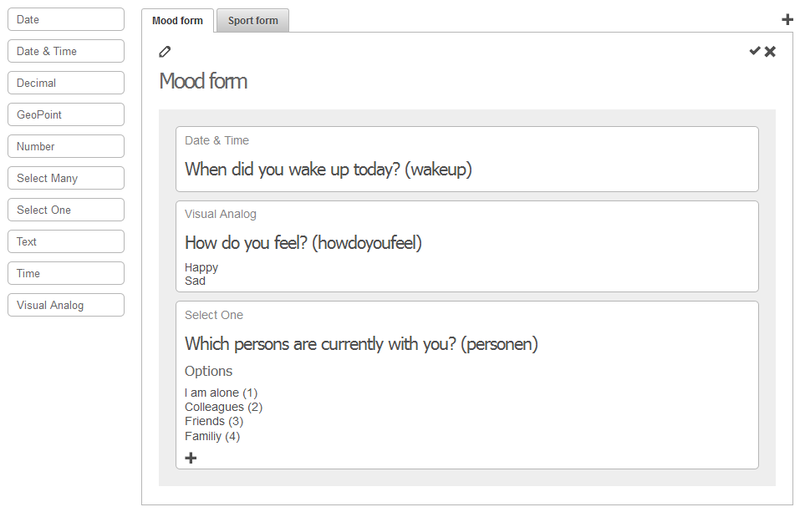 You can design your forms using any unicode character and collect data in the language of your participant. We use web standards like XForms and HTML to build a sustainable solution. movisensXS runs on the open smartphone OS Android, which has the highest market share and lots of reliable, cheap smartphones. movisensXS is going to grow on your feature requests. The following features are planned and will be released in a later version. With movisensXS already over a million questions have been answered by participants (and counting). now using movisensXS, works nicely. It’s on the cutting edge of mobile healthcare technologies! I've been so impressed with how well the movisens software is working. It's extremely flexible, easy to use, and maybe most importantly, very easy to deploy. to setup an Experience Sampling study.